Your backup procedures and the new DropDMG features have me kind of intrigued. Your backup posting gives a great overview of what you're doing, but I wonder if you have considered writing more detailed instructions for how you're doing your backups. 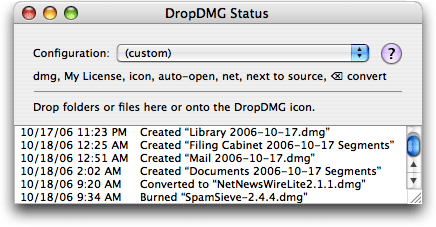 Especially for the processes which use DropDMG, it seems like that would help sell copies.